Dunlop Formula No. 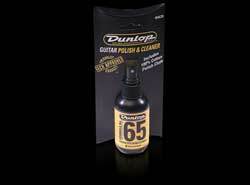 65 guitar polish and cleaner was specially formulated to remove what time and exposure leave on the surface of your instrument. This easy to use polish and cleaner contains emolients, which help restore your instrument to a rich luster and keep it in a pristine, like new condition.